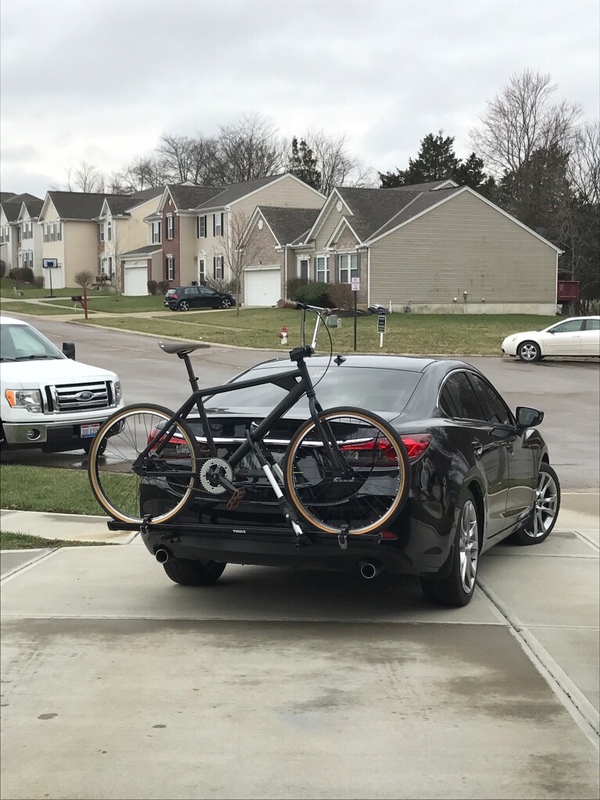 I had a roof mounted bike rack system on my 6, but I thought it took away from the looks of the car. 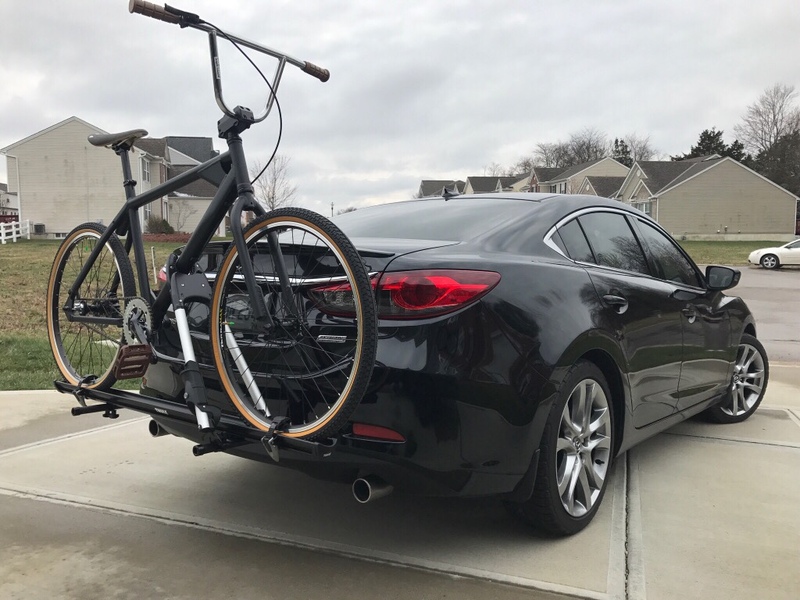 I decided to figure out a way to take advantage of the stock tow hook mounts in the rear. They are 28" apart.. very close to the 27" spacing of the roof mounted bar positions. There was absolutely no support online trying to figure out the bolt and thread spacing of the tow hooks. I can definitively tell that they are 20mm bolts with 2.5mm thread pitch spacing. 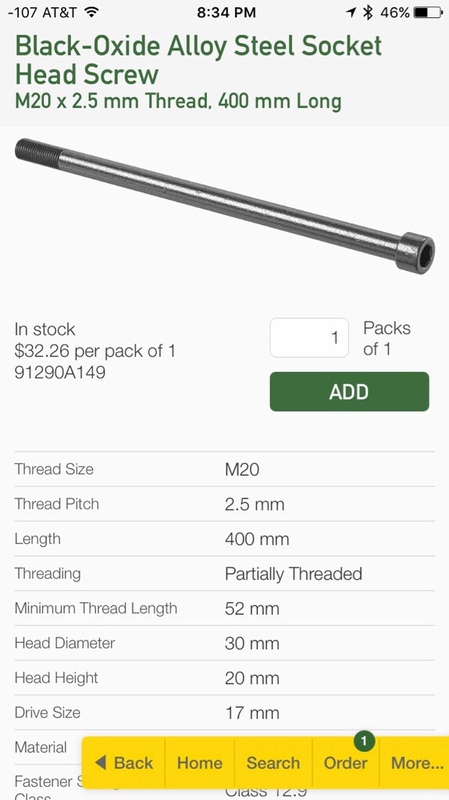 After a ton of searching, I found a class 12.9 bolt with these specs in a 400mm length. About 16". With a clean 17mm Allen key head and the perfect amount of thread for this application. They were not cheap! About $74 for the two bolts shipped to my house, but worth every penny. I got them from a site called McMaster Carr. They have a great app for shopping and they bolts came in 1 day! They fit perfectly inside 3/4" black polyethylene sprinkler pipe. Very strong, but flexible pipe. Feels very much like the plastic used in Yakima crossbars. 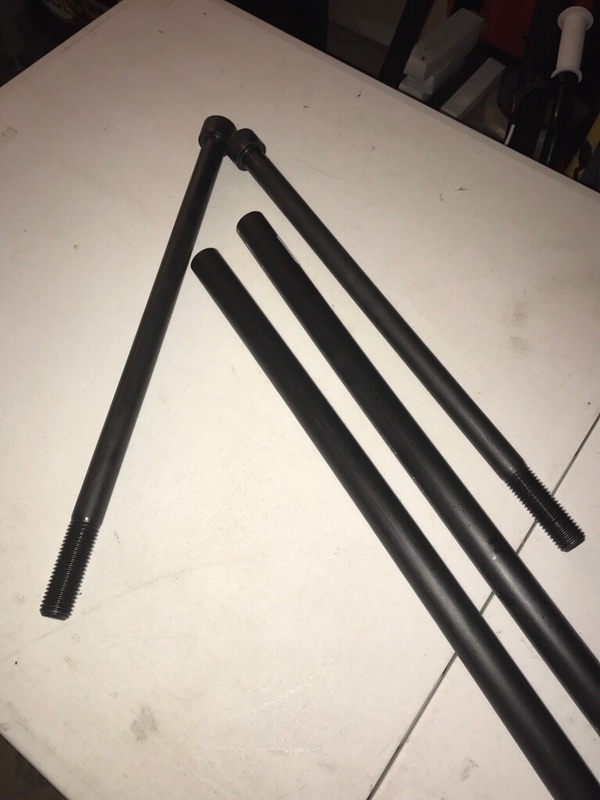 I gave the bolts a couple coats of gloss black rustoleum to slow down the rust from the black oxide treated bolts. Hit the ends with a little anti seize so they would go in and out smoothly. Once I figured that out it was simple. 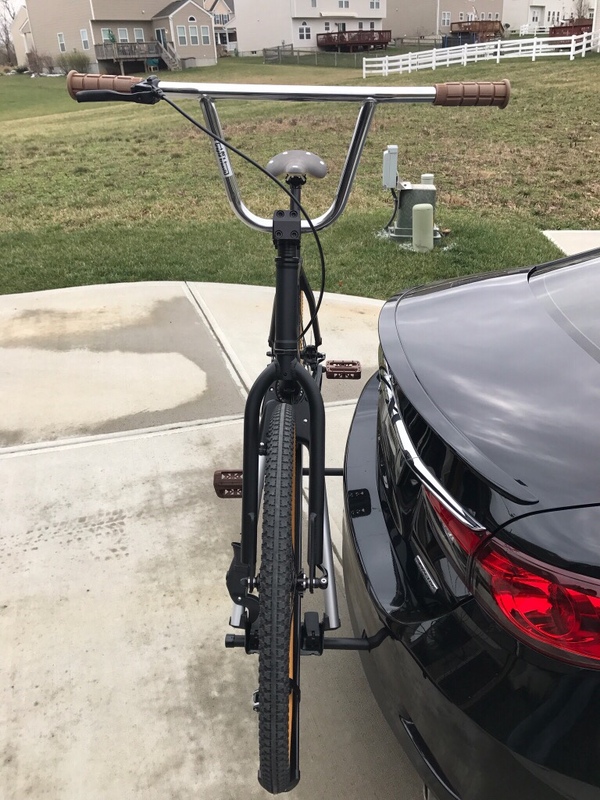 The bars will work with pretty much any roof mount bike rack. I opted for the Thule Big Mouth. I added some 3M reflective tape for increased visibility. And before you ask, "why didn't you just get a hitch?" ... I did want to put a hitch on it. Don't like the looks. My setup can be removed in just few minutes, but is theft deterrent from the locked Thule rack. 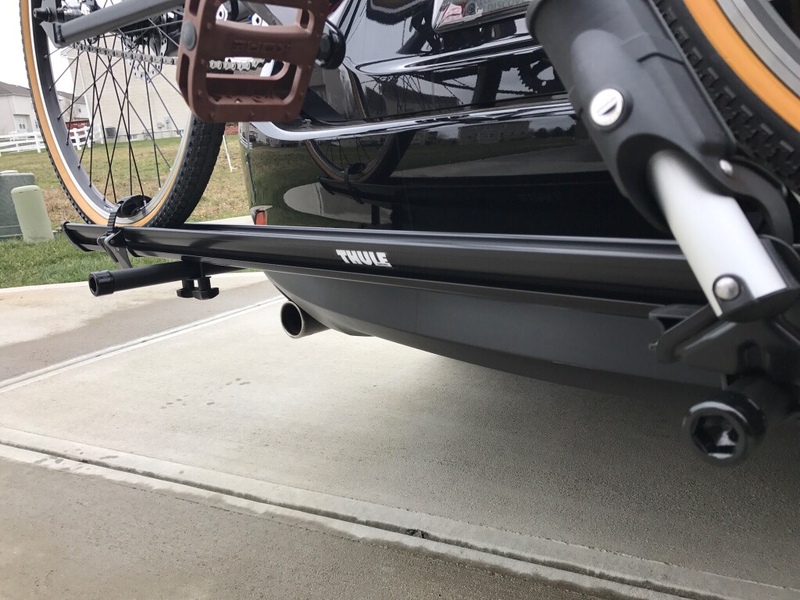 You can't take the Thule rack off when it is locked and you can't take out the bolts when the Thule rack is clamped down. daddyd302, MazdaRex and txsv_2 like this. Here is a shot of when I had the roof rack. I just thought it was a little too busy up there with the sleek lines of this car. Excellent Idea, I have been wanting to add a bike rack to mine as well. GTGTGT, if we ever meet, drinks are on me. Here is a shot of when I had the roof rack. 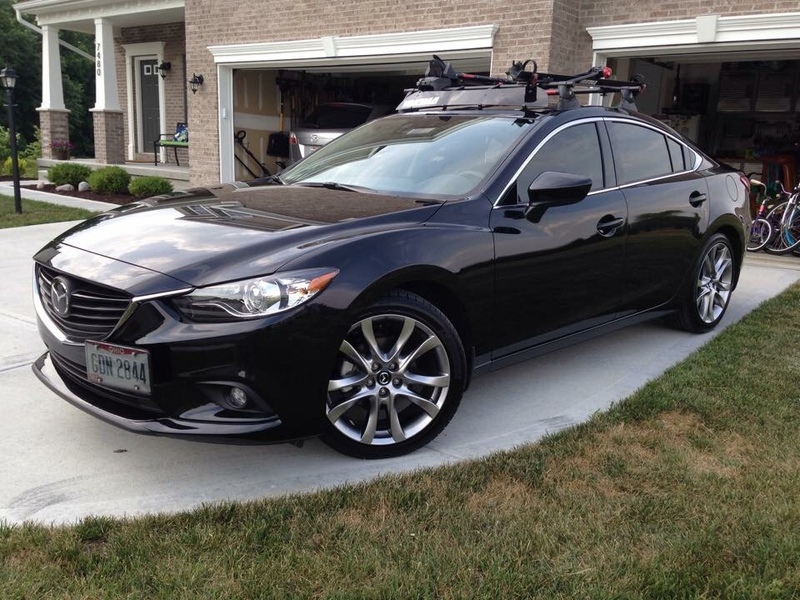 I have nearly the same roof setup on my 2016 6. I agree, it's too busy, but ultimately I need the ability to haul a canoe and occasional lumber/etc on the roof. I use the same Yakima setup with round bars, although I've ditched the fairing (didn't like it rubbing on the roof). I pull the bars off whenever I'm not using them. I don't love the four tower pads - they kinda spoil the roofline, but the bars are terribly loud and make a noticeable dent in gas mileage. LOVE the rear bike rack you've whipped up. If I just needed to haul a bike or two, I'd definitely be looking at that. I agree that the roofline somehow "destroys" the aesthetics of the car. Anyways, I don't haul a lot of things so I don't see a need for it. If ever I'll have the strength to ride a bike after a long drive, I'll put the same setup. GTGTGT. That's a really smart idea and well executed. Very impressed. Well thanks to GTGTGT I also did this method. I might get another bike mount, as this one is leaving too much bike to the driver side. Last edited by daddyd302; 03-24-2019 at 02:07 PM. 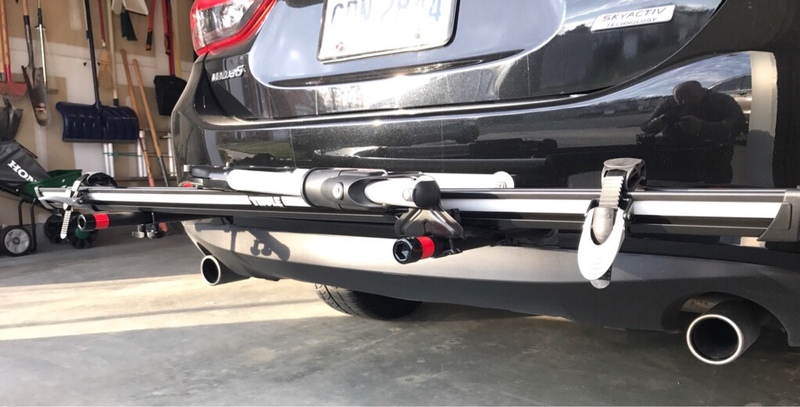 - When using a trailer hitch for a bicycle rack mount the hitch manufacturers (almost all) indicate that an assist-strap, or a stabilizing strap is necessary to be used... 'cuz with their hitches, which generally are designed to be pretty stout, they are worried about the undulating / bouncing / moment-inducing weight of the bicycle(s) causing damage to the hitch and the vehicle. These are my reasons for this opinion. Others may of course vary. I may indeed be totally wrong; the empirical results may suggest all is fine. I would suggest, in any case, a stabilizing strap, to (say) the leading edge of the trunk, maybe two of them... each anchored close to its respective (trunk) hinge-point? Last edited by Cdn17Sport6MT; 03-25-2019 at 12:47 AM. I now have my second thoughts about this bike rack with what you said. I've been on a car ship once. I didn't notice where they connect the lashings​ but surely, it is somewhere there. Anyways, our bikes have been stolen so I need first to have a bike. Taking the opportunity, I think it is safe to use those "connections" for towing. Am I right? 1 Attachment(s) Key Remote problem?